Lovely shot…..well worth the effort. Thanks Vicki, I’m glad I went back. “Haze” is the perfect word for this. The flowers seem to be falling like fireworks . Love it! Definitely worth it – what a show! Very worth it – soft and lovely. Beautiful! Thanks Adrian. 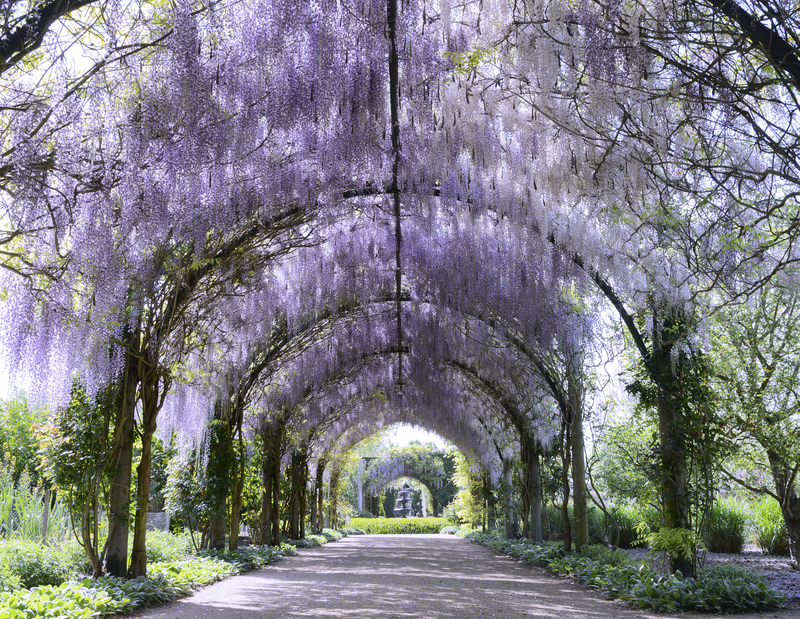 I think the blur effect is a product of the sheer number of individual blooms, I’ve seen other images of tunnels in Japan and they look like this. great shot, I was really drawn into the picture. Not the type of image i would usually like but for some reason I do. Thanks Ben and I’m glad you liked it – for me it feels very peaceful. I do like this a lot. It must have been a wonderful place to visit. Thank you – it is a wonderful place to visit, I suspect I shall become a frequent visitor. Beautiful image Lisa! I like how the light is filtering thru the flowers. If the blooms were more full that might not have happened. Maybe you hit it just right! what a beautiful bower!!! I love it Lisa!! It is beautiful, I think you would enjoy it. Purple is my favourite colour. I would be in heaven here! Thanks for sharing just beautiful! Looks just right to me. Beautiful colour and I can just imagine the smell. Lovely image lisa. What an amazing sight, and beautifully captured, Lisa. Gorgeous, thanks for sharing the location! I will have to go spend some time there!! Wow! Great photo. And a stunning view – I would have loved to be there too!